1. At Isikkent, you have spent time with our faculty, parents and students working on the “Learning Styles”. Why are the learning styles important and how do they impact our growth as an individual? For teachers, understanding their own learning styles and that of their students helps in the design of instruction leading to differentiation that allows students to modify a task or their environment to support learning. 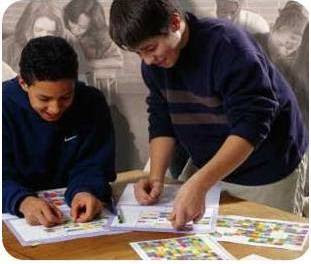 An example is allowing a kinesthetic learner to stand for a while during a class lecture or discussion or encouraging a global student to organize her material in a unique way. For the students, knowing how I learn empowers me to maximize study time payoff and to request from my teacher assistance most valuable to me. Example is the visual student who informs the teacher she is having trouble picturing the science concept. For parents it means not forcing their child to study the way that worked best for the parent if it doesn’t match the child. 2. We know that you travel all around the world for seminars and workshops. How do school systems in different countries affect the learning styles of students? Are there any specific examples you would like to share? Technology is building more opportunities for students to learn globally. It is now so much easier to make a mistake on the computer and start over…. something global learners like to do. Technology also provides more choices which is important to sensing perceivers and abstract global learners. Some middle schools have reinstituted recess as they have discovered that kinesthetic learners (especially adolescent boys) need the large muscle movement. 3. Your workshops at Isikkent went very productively. What would your suggestions be for our faculty, parents and students to continue benefiting from the differences of our different learning styles? The staring place is ongoing conversation. When I realize that the difference in styles in not a better or worse… just a difference, I can work together for increased success. When students can communicate to a teacher, ”how I learn” or “why I am stuck”, the teacher can respond with increased effectiveness. When a teacher can describe her preference or the preference of the assignment, students are more likely to share their struggles and be conscious of the extra effort the task might take. Conversations keep us conscious. When I realize that I am global and you are sequential I am more understanding of your request for increased order and don’t hear it as a challenge to my style. This understanding helps us build a community of learners. 4. If you had one thing that you would tell parents to stop doing or start doing, what would they be? Parents want to be observant of when their child is most successful and when they struggle. Identify patterns and then focus on how the student can capitalize on their strengths and manage their difficulties. I am a strong auditory, abstract global, intuitive thinker learner. I study best with friends, talking, with little structure as to what parts to study when. If my mom was a high visual, abstract sequential, sensing judger she might send me to my room to study alone and get angry that I kept coming back to the kitchen to ask her a question. Learning how to learn best for yourself takes conscious experimentation. Parents can help by debriefing after a test. How did you study? What seemed to work for you? What would you want to try differently next time?